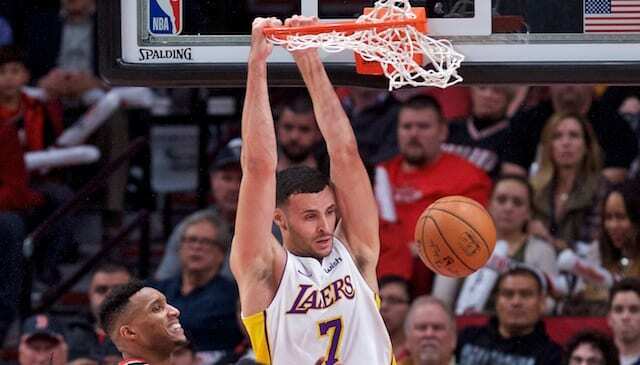 When the 2017-18 NBA regular-season schedule was released last August, it included 35 nationally televised games on ESPN, ABC, TNT or NBA TV, for the Los Angeles Lakers. That came as a shock for many considering the team was 26-56 last season. Of course, the Lakers’ brand has remained strong in spite of the franchise missing the playoffs in each of the past four seasons, and there was plenty of reason for optimism and national attention in the form of rookie Lonzo Ball. The Lakers’ number of nationally televised games trailed only the Golden State Warriors (43), Houston Rockets (40), Cleveland Cavaliers (39) and Oklahoma City Thunder (37). 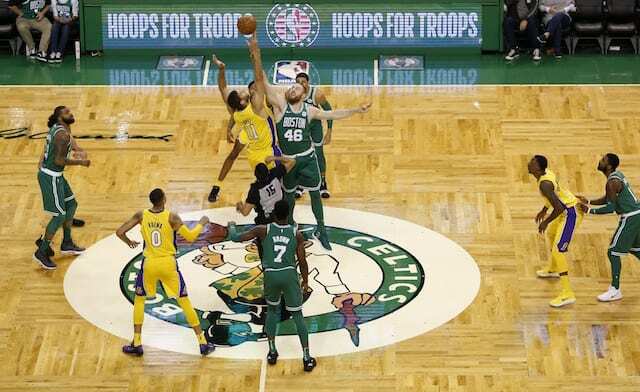 One of the Lakers’ contests that was played in front of a national audience (ESPN) came just over two weeks ago in a matchup with the Boston Celtics at the TD Garden. It drew 2,698,000 viewers, which is good for the second-most watched NBA game on ESPN this season. More recently, when the Lakers played the Sacramento Kings at Golden 1 Center, it drew 2,178,000 viewers on ESPN. The Lakers at the time of facing the Celtics were 5-5 and in the midst of a modest two-game winning streak. The contest marked the start of a four-game road trip. Conversely, Boston was on a nine-game winning streak which eventually reached 16 games. While the Celtics being among the top teams in the league this season provided a boon to TV ratings, the storied rivalry tends to make for must-see television no matter the struggles either team may be enduring at any given time.